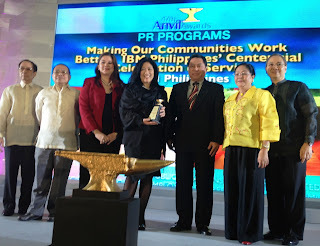 IBM Philippines won a coveted ANVIL Award for its entry -- Making Our Communities Work Better: IBM’s Centennial Celebration of Service in the 47th Anvil Awards ‘Gabi ng Parangal’ held February 24, 2012, at the Edsa Shangri-La Hotel, Mandaluyong City. 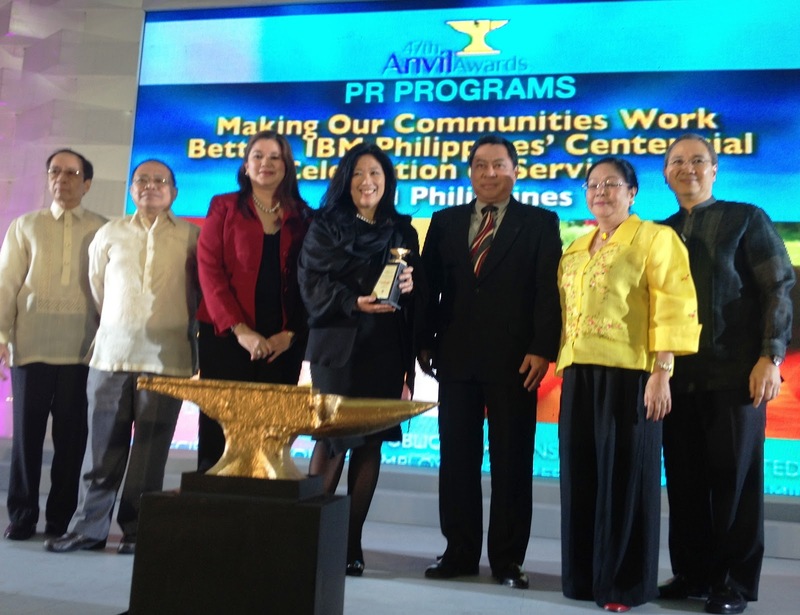 The esteemed ANVIL recognition was given to IBM for its outstanding public relations program directed at employees, retirees and their families. Commemorating its centennial in 2011, IBM embarked on the Centennial Celebration of Service initiative last year to enhance the company culture of mobilizing its employees to resolve societal issues through transfer of skills and volunteerism. “The Centennial Celebration of Service was embraced and greatly supported by IBMers in the Philippines, delivering over 38,000 volunteer hours, equivalent to around 13 years of community services to several organizations in support of their causes," said Mariels Almeda Winhoffer, President and Country General Manager, IBM Philippines. In 2011, IBM Grants were awarded to Philippine Business for Social Progress for Mangrove Reforestation, CNN Hero: Efren Penaflorida’s Kariton Klasrum, Bantay Kalikasan of ABS CBN Foundation and Ayala Foundation, among others. Considered the "Oscars" of the Public Relations (PR) industry, the Anvil Awards is an annual event organized by the Public Relations Society of the Philippines to recognize exceptional PR programs and tools implemented in the previous year. 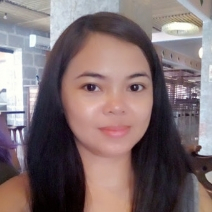 It is the symbol of Excellence in the public relations practice in the Philippines.